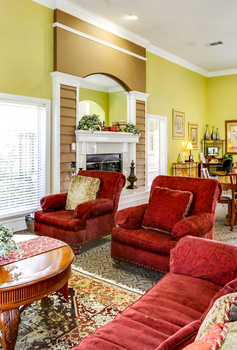 A comfortable, carefree experience is waiting for you in Burleson. Come enjoy our clean, sparkling blue pool this summer and relax. Take time to enjoy the simple pleasures of either exercising in our fitness center or taking a walk around our beautiful landscaped community. Our Residents are Proud to Call Us Home! You will feel the same way the minute you drive into our property. Impress Your Friends... We Only Look Expensive! Voted the Best Apartment Complex in Burleson by the Burleson Star! 2009 & 2013 Star Group Newspapers Best of the Best Winner!